Today’s All-Time favourites post is from Emma-Jane Menteath who I am sure you all follow already. I certainly do, and really love her posts. Emma often chats about beauty and I love her simple, understated style when it comes to make up (probably because she doesn’t really need to use any of it!!). She is one of my favourite people to follow on Snapchat (@emmamenteath) as she travels a lot, eats at the most amazing places and has flawless style. You can follow Emma’s blog, My Life in Pink and stay updated with her beautiful pics on Instagram. Thanks so much for contributing, Emma! If you missed the other All-Time Favourites posts you can head over to see Kiss, Blush & Tell's, Camilla’s and Julia’s (From All Dolled Up). 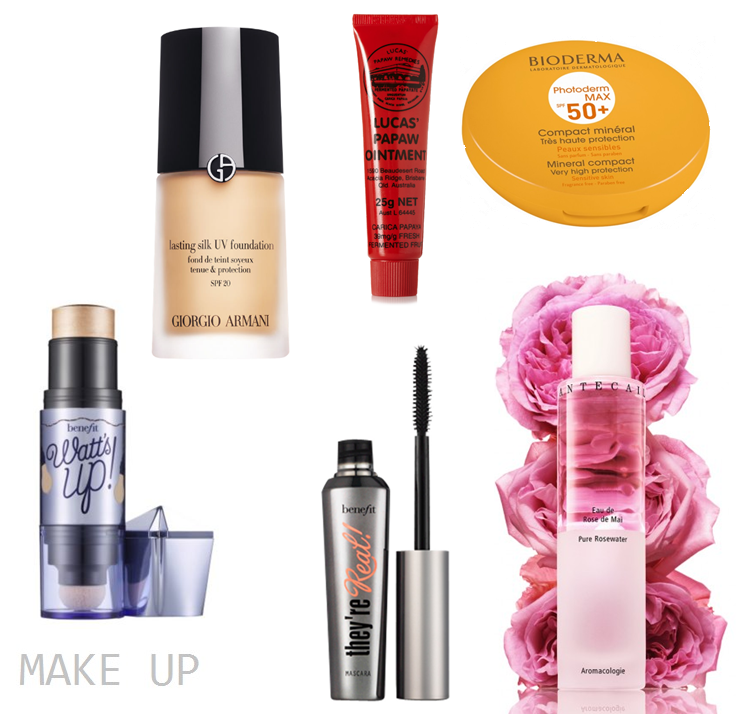 My all​-​time favourite setting spray…​ Don’t really use one, but I love spraying rose water and witch hazel on my skin throughout the day. (KBT: I included an image of my favourite Rose Water spray from Chantecaille – it costs an arm and leg so is hard to justify and completely unnecessary, as you pick this up easily for a fraction of the price). 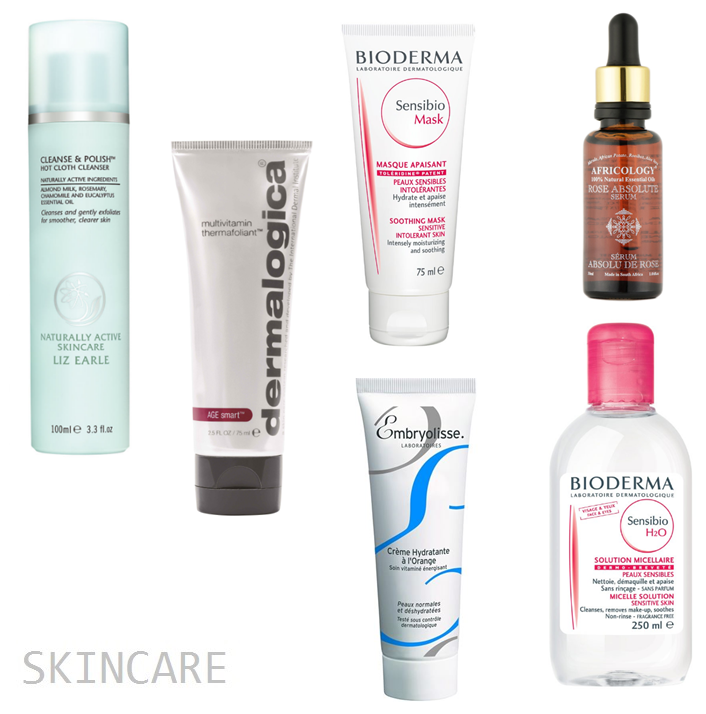 Bioderma is just so fantastic (the makeup remover). I haven't tried the sensibio mask yet, but maybe I should. This is a fantastic series you're doing, not just letting us know what your favourite products are, but also those of your fellow bloggers. I love seeing this, I'm big on skincare, so I'm always interested to see what others enjoy, especially beauty bloggers that have tested various different products. Would you ever be interested in a different type of guest post?